1. Anderson RJ, Schrier RW: Acute renal failure. 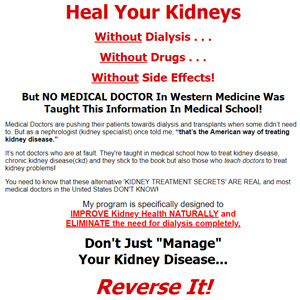 In Diseases of the Kidney. Edited by Schrier RW, Gottschalk CW. Boston: Little, Brown; 1997:1069-1113. 2. Hou SH, Bushinsky D, Wish JB, Harrington JT: Hospital-acquired renal insufficiency: A prospective study. Am J Med 1983, 74:243-248. 3. Shusterman N, Strom BL, Murray TG, et al. : Risk factors and outcome of hospital-acquired acute renal failure. Am J Med 1987, 83:65-71. 4. Levy EM, Viscoli CM, Horwitz RI: The effect of acute renal failure on mortality. JAMA 1996, 275:1489-1494. 5. Liano F, Pascual J: Epidemiology of acute renal failure: A prospective, multicenter, community-based study. Kid Int 1996, 50:811-818. 6. Thadhani R, Pascual M, Bonventre JV: Acute renal failure. New Engl J Med1996, 334:1448-1460. 7. Feest TG, Round A, Hamad S: Incidence of severe acute renal failure in adults: Results of a community-based study. Br Med J 1993, 306:481-483. 8. Davenport A: Differentiation of acute from chronic renal impairment by detection of carbamylated hemoglobin. Lancet 1993, 341:1614-1616. 9. Mendell JA, Chertow GM: A practical approach to acute renal failure. Med Clin North Am 1997, 81:731-748. 10. Kopp JB, Miller KD, Mican JM, et al. : Crystalluria and urinary tract abnormalities associated with indinovir. Ann Intern Med 1997, 127:119-125. 11. Charlson ME, MacKenzie CR, Gold JP, Shires T: Postoperative changes in serum creatinine. Ann Surg 1989, 209:328-335. 12. Kellerman PS: Perioperative care of the renal patient. Arch Intern Med 1994, 154:1674-1681. 13. Nolan CR, Anger MS, Kelleher SP: Eosinophiluria —a new method of detection and definition of the clinical spectrum. N Engl J Med 1986, 315:1516-1519. 14. Wilson DM, Salager TL, Farkouh ME: Eosinophiluria in atheroem-bolic renal disease. Am J Med1991, 91:186-191. 15. Abuelo JG: Diagnosing vascular causes of acute renal failure. Ann Intern Med1995, 123:601-614. 16. Falk RJ, Jennette JC: ANCA small-vessel vasculitis. J Am Soc Nephrol 1997, 8:314-322. 17. Kobrin S, Madacio MP: Acute poststreptococcal glomerulonephritis and other bacterial infection-related glomerulonephritis. In Diseases of the Kidney. Edited by Schrier RW, Gottschalk CW. Boston: Little, Brown; 1997:1579-1594. 18. Eknoyan G: Acute tubulointerstitial nephritis. In Diseases of the Kidney. Edited by Schrier RW, Gottschalk CW. Boston: Little, Brown; 1997:1249-1272. 19. Don BR, Rodriguez RA, Humphreys MH: Acute renal failure associated with pigmenturia as crystal deposits. In Diseases of the Kidney. Edited by Schrier RW, Gottschalk CW. Boston: Little, Brown; 1997:1273-1302. 20. Chaudbury O, Ahmed Z: Drug-induced nephrotoxicity. Med Clin North Am 1997, 81:705-717. 21. Palmer B, Henrich WL: Nephrotoxicity of nonsteroidal anti-inflammatory agents, analgesics, and angiotensin converting enzyme inhibitors. In Diseases of the Kidney. Edited by Schrier RW, Gottschalk CW. Boston: Little, Brown; 1997:1167-1188.